Unless you are dead, you may have noticed that there is an upcoming royal wedding. 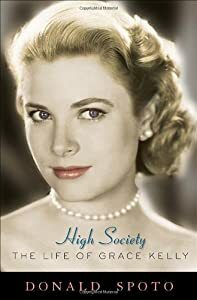 There was another big wedding on April 19, 1956 between Ranier III of Monaco and Grace Kelly, who was known thereafter as Her Serene Highness The Princess of Monaco. Before her marriage at age 26, she had a short, but luminous Hollywood career during which she garnered an Oscar for The Country Girl. She was a Philadelphia native and maintained dual citizenship after the royal wedding. 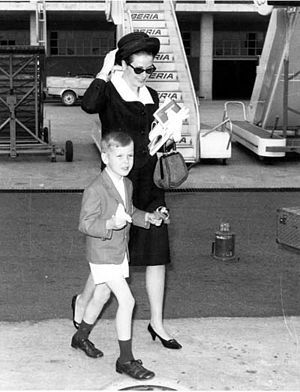 When she traveled to the Cannes Film Festival in the south of France in 1955, she met the prince in nearby Monaco. The pressure was on Ranier to find a wife. According to a 1918 treaty with France, Monaco would revert to France unless there was an heir. In December the Prince came to the United States on an official visit, but he made a point to visit the Kelly family. Secretly, the prince and the actress had started a correspondence after their first meeting. Three days later, he proposed. Titles don’t come cheaply. The Kellys had to pay $2,000,000 as a dowry! When she, family, bridesmaids, and poodle set sail from New York for the wedding, 80 pieces of luggage went with them. Traveling light was apparently not a family value. The wedding in Monaco started with a civil ceremony on April 18 and was followed by a religious service the next day. 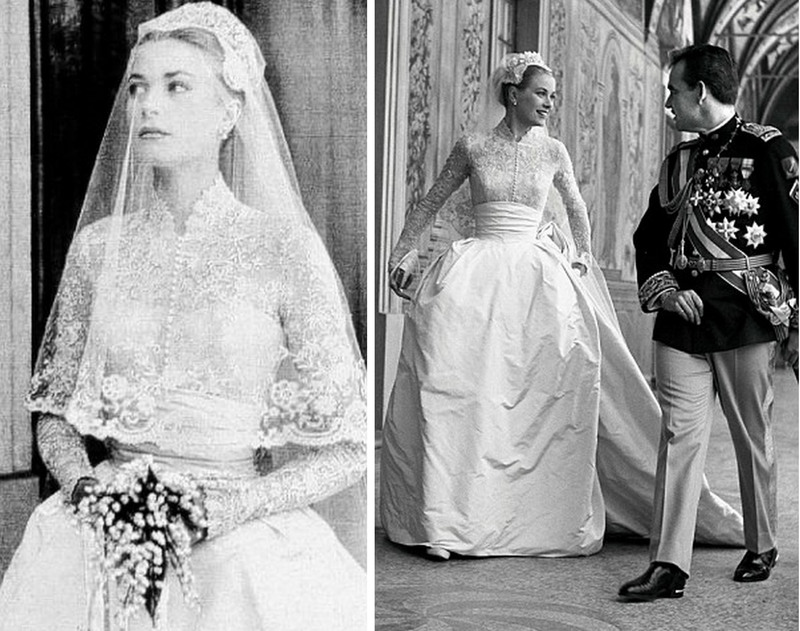 During the civil ceremony, the 142 different titles Grace Kelly received upon her marriage were recited in full. For the religious service, the Princess wore a gown created by an MGM costumer that took a whole team of seamstresses six weeks to complete. The 600 guests represented the cream of the acting world as well as many aristocrats. The wedding was followed by 300 million people on television. (Update: The marriage of Kate and William has now taken place followed by two BILLION television viewers!) The royal couple had three children, thus saving the Monegasque throne. After her marriage, Princess Grace engaged in a variety of good works, often in support of children’s charities. The Princess died in 1982 as the result of injuries suffered during a dramatic car crash on the same roads where she had filmed To Catch a Thief many years earlier; she had suffered a stroke that caused her to lose control of the vehicle. When her Rear Window co-star, James Stewart, gave the eulogy at her funeral, he said, “Grace brought into my life as she brought into yours, a soft, warm light every time I saw her, and every time I saw her was a holiday of its own.” The gorgeous wedding dress was on display in the Philadelphia Museum of Art in April 2006 to mark what would have been the couple’s 50th anniversary. Today’s expression, la mariée est trop belle! (lah mareeA eh tro bell) literally means “the bride is too beautiful.” Idiomatically, it means that there must be some sort of a catch because things are too good to be true. According to that eulogy, Grace Kelly wasn’t just a pretty package but also a wonderful person. 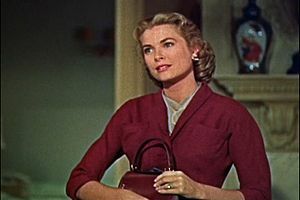 This entry was posted in People and tagged Grace Kelly, James Stewart, La mariée est trop belle!, Philadelphia Museum of Art, Princess Grace of Monaco, Ranier III of Monaco, Rear Window, Serene Highness, The Country Girl, To Catch a Thief. Bookmark the permalink. 2 Responses to La mariée est trop belle! Pingback: Mettre à sac | One quality, the finest. Pingback: Tu veux parier? | One quality, the finest.